Peter Jackson faced some staunch criticism from fans when he announced he was splitting his announced Hobbit adaptation into a trilogy. Many cited the sheer size of the book as a cause for concern but the underlying belief was that the move looked more like a cash grab for the studio who were facing their final trip to Middle Earth. 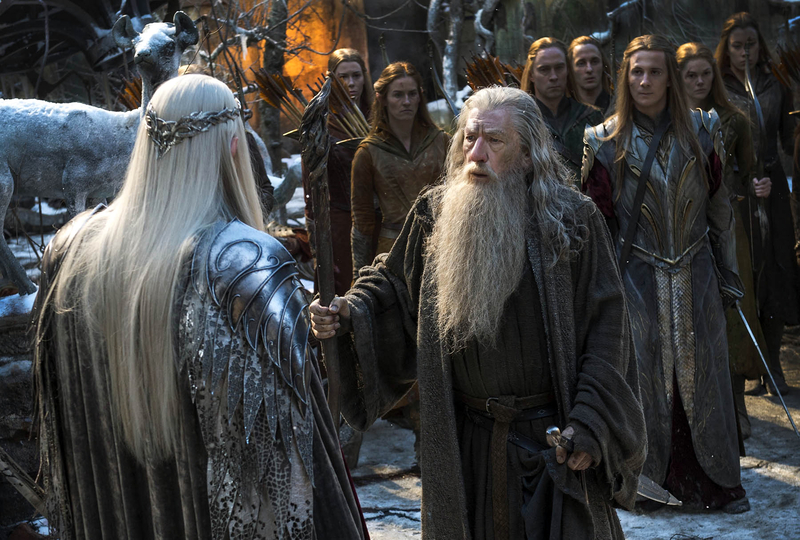 The Battle Of The Five Armies posed the biggest challenge for Jackson simply because of the subject of the film was presented to readers as a footnote that takes places place after the story (The story was published in the back of The Return of the King), but Jackson has put all the speculation to rest and released his best film in the Hobbit trilogy. Picking up right where The Desolation of Smaug left off, we find the dragon Smaug (voiced by Benedict Cumberbatch) arriving at Laketown to exact his wrath on the people of this small fishing village after losing Erebor the the dwarves. Bard (Luke Evans), witnessing the destruction of his home, decides to take matters into his own hands and take on the mighty beast with a lowly bow and arrow, a move which would lead him to come face to face with the villainous monster. Accepting that his effort as a failure, one last chance is awarded the bowman after his son arrives with an ancient ironclad arrow just strong enough to pierce the tough hide of the beast. 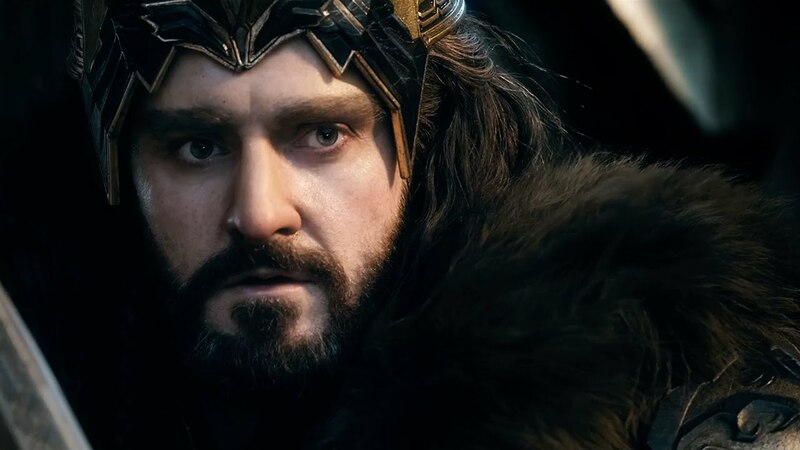 Thorin (Richard Armitage) has begun to feel an abundant amount of lust for gold, which is referred to as dragon sickness. The once proud, would be king has begun hell bent on finding the Arkhenstone and demands the dwarves to search until they find it. Thorin begins to lose the loyalty of his kin as they fear his sickness has clouded his judgement. 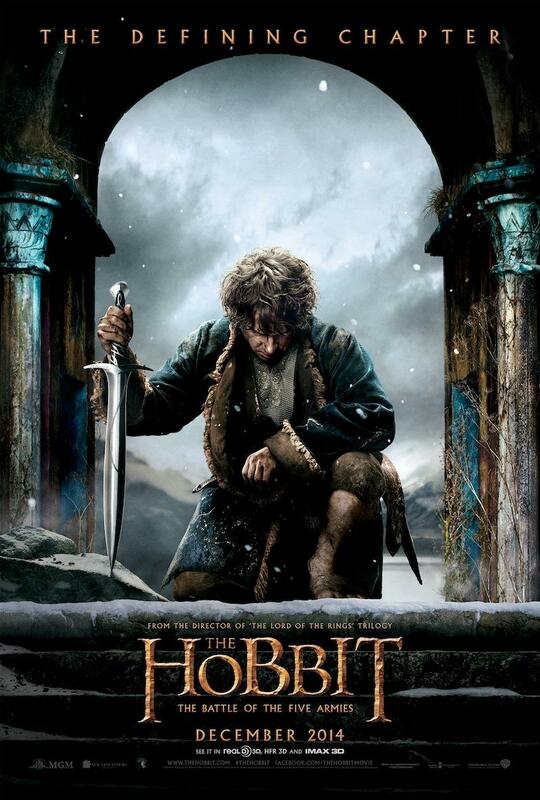 Bilbo (Martin Freeman) finds the stone but fears it effects on his friend and decides to hide it. Meanwhile, the men and woman of Laketown are facing a harsh winter and no place to live. Bard and his villagers journey up the Lonely Mountain to Erebor to ask for Thorin to honor his promise and provide the people of Laketown their fair share of the gold to help rebuild their homes. 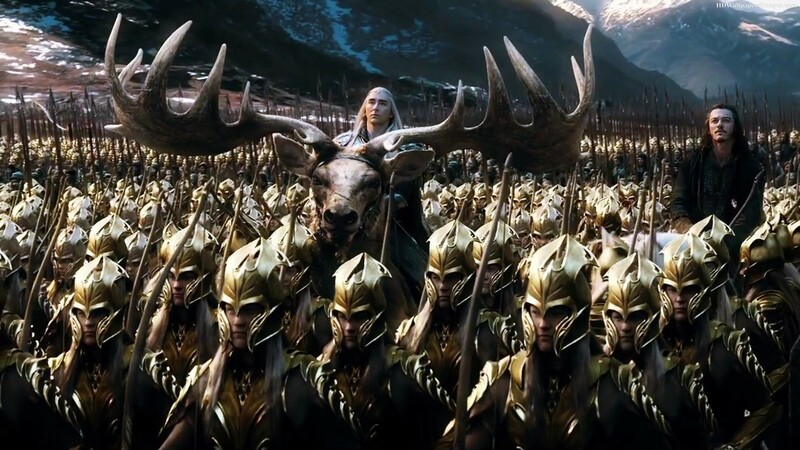 Thranduil (Lee Pace) and his Elven army arrive at the same time to claim what is rightfully theirs from the mountain as well, a alliance is formed between the Elves and man to storm the gates of Erebor and take their share. Bilbo decides to find a peaceful resolution to this conflict and offers the Arkhenstone to the invaders to bargain for their share in exchange for Thorin’s prize, a bargain he quickly refuses and the arrival of reinforcements from the Iron Mountains arrive to help Thorin fortify his compound and his treasure. War is inevitable and the armies prepare for battle, but the arrival of Gandolf the Grey (Ian McKellen) brings word that their is a more pressing danger coming for the combatants. Azog (Manu Bennett) and his Orc army have arrived and are determined to wipe the three armies off the face of Middle Earth. 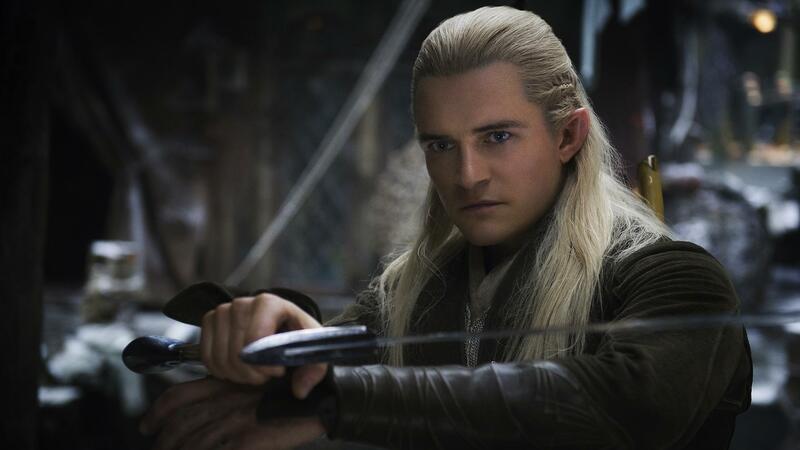 As Bilbo tries to convince Thorin and the dwarves to join the fight and drive back the insurgents, Legolas (Orlando Bloom) and Tauriel (Evangeline Lilly) arrive to warn Gandolf of even more danger lurking to the North. The need for a unified front and a leader who can turn the tide of the battle is demanded. Thorin must face his demons head on and become, once again, the true king under the mountain. But will it be enough to defeat the coming evil? Peter Jackson has taken an after thought and turned it into one of most exciting films of the year. The very CGI heavy battle sequences are astounding and the choreography of the hand to hand combat scenes is breathtaking, the film has taken effects to a new level and its awe inspiring to witness. The director keeps the film from slowing down by keeping the story moving along, unlike the previous two films which tended to lag at times. The tie-in scenes to the Lord of the Rings trilogy are nicely done and Jackson completes his Hobbit journey with near perfection. Richard Armitage continues to portray Thorin to absolute perfection. The actor has etched his legacy into Tolkien lore. Martin Freeman continues to impress with his portrayal of Bilbo Baggins. Freeman‘s character arc has taken him on the most interesting of all the characters journeys. Ian McKellen is the complete embodiment of Gandolf. The mannerisms, the voice, the delivery of every line is done elegantly. The remaining cast including Luke Evans, Orlando Bloom, Cate Blanchett, Lee Pace and Evangeline Lilly to name only a few, were astonishing. The physical work alone deserves an enthusiastic applause but each brings an amazing range to their characters and delivers fantastic performances that would make Tolkien proud. Overall, The Hobbit will not be looked upon as fondly as the Lord of the Rings trilogy, but the movies are extremely enjoyable and worthy of a viewing. The Battle Of The Five Armies is a truly astounding achievement on its own and a perfect ending to Bilbo’s story. Peter Jackson says this is his last time journeying into Middle Earth, I believe him, but it would be nice to think that some day we might be taken back to this special place again…there’s always more stories to tell from Middle Earth. but for now, I will enjoy what we have. This entry was posted in Michael, Reviews, Top Rated and tagged Adam Brown, Aidan Turner, benedict cumberbatch, Billy Connolly, Bret McKenzie, cate blanchett, Christopher Lee, Dean O'Gorman, Evangeline Lilly, Graham McTavish, hugo weaving, Ian Holm, Ian McKellen, James Nesbitt, Jed Brophy, John Bell, John Callen, Ken Stott, Lawrence Makoare, Lee Pace, luke evans, Manu Bennett, Mark Hadlow, Martin Freeman, Mikael Persbrandt, orlando bloom, Peter Hambleton, Peter Jackson, Richard Armitage, Ryan Gage, Stephen Fry, Stephen Hunter, Sylvester McCoy, The Hobbit, The Hobbit: The Battle of the Five Armies, William Kircher by Michael Petrelli. Bookmark the permalink.